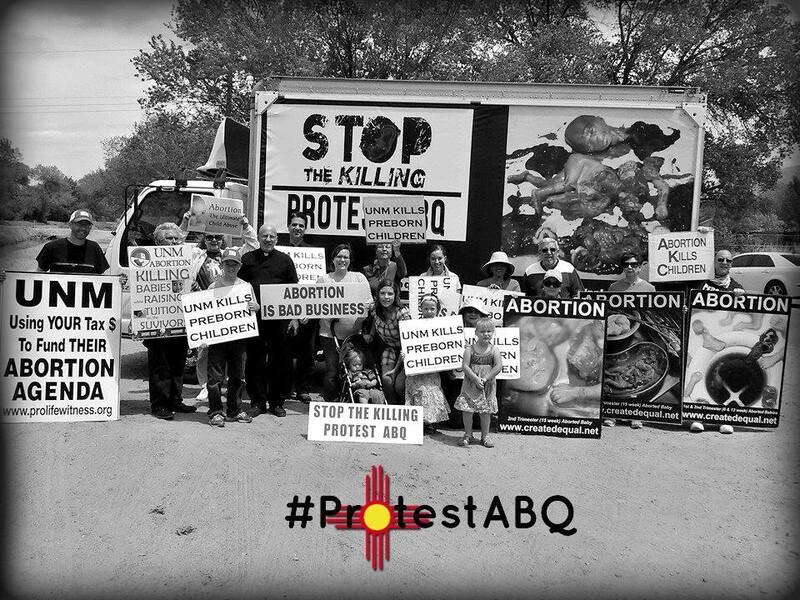 Albuquerque, NM- Protest ABQ is a peaceful awareness campaign launched to educate and stand against the injustice of abortion, through a strategic and sustained presence. 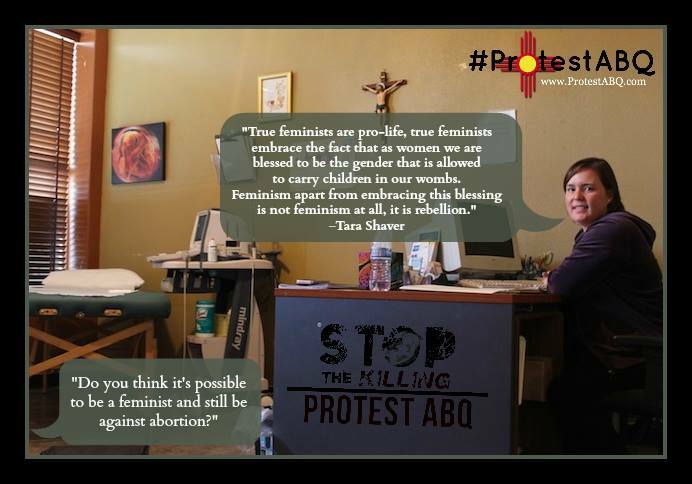 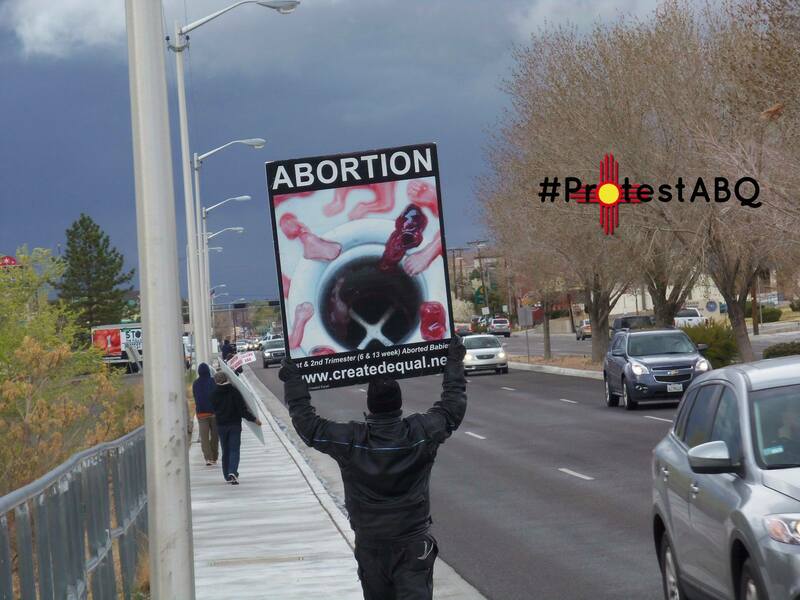 We strive to reach deeper into our community and educate Albuquerque and New Mexico residents on what abortion really is, what it looks like, and expose the businesses and individuals that are keeping abortion in our community. 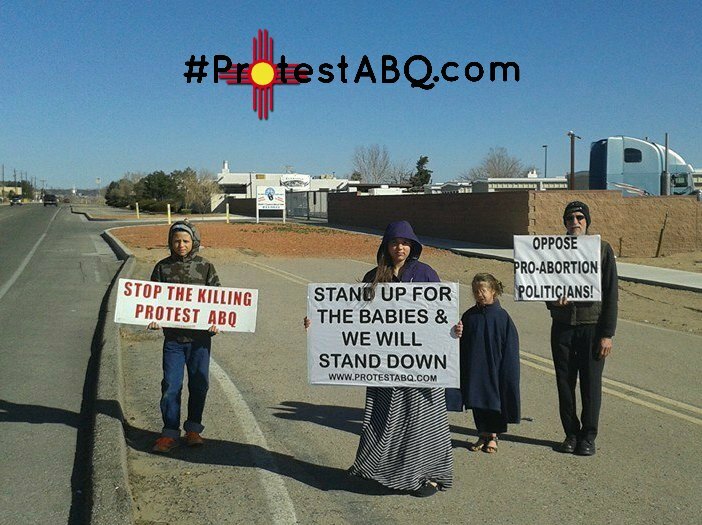 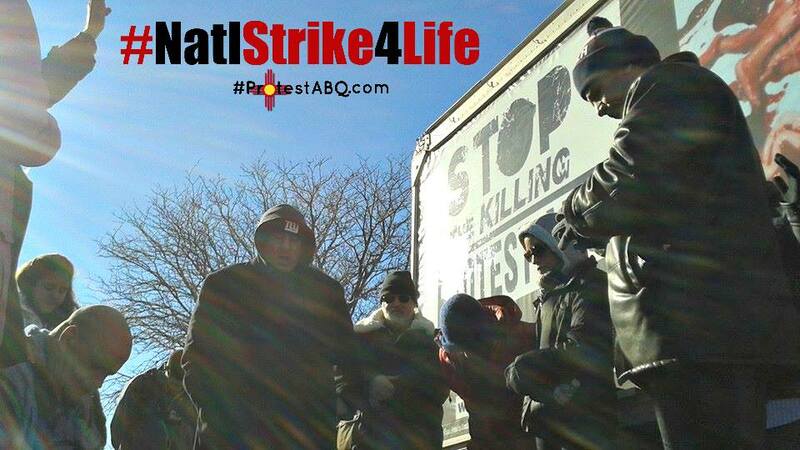 While Protest ABQ is opposed to abortion and seeks the reversal of Roe v. Wade and its progeny, Protest ABQ acknowledges that it must do all it can to protect the lives, health, and safety of vulnerable women who are subjected to an abortion and to protect and preserve the life of the pre-born child. 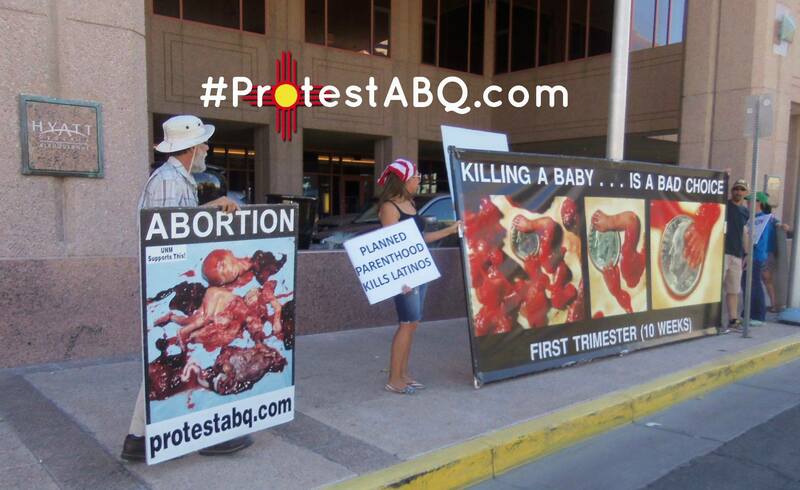 It is time to get serious about protesting the killing of our little brothers and sisters in the womb. 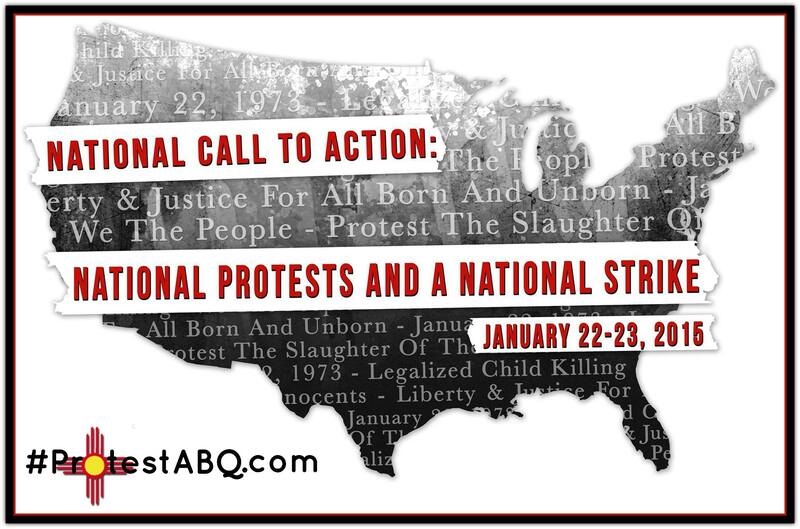 These protests will be peaceful and constitutionally legal. 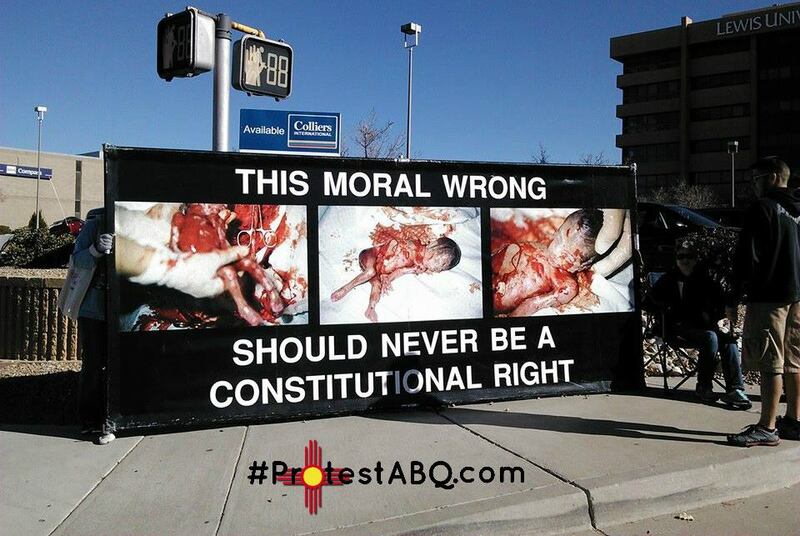 We will not condone violence of any kind by anyone in this campaign. 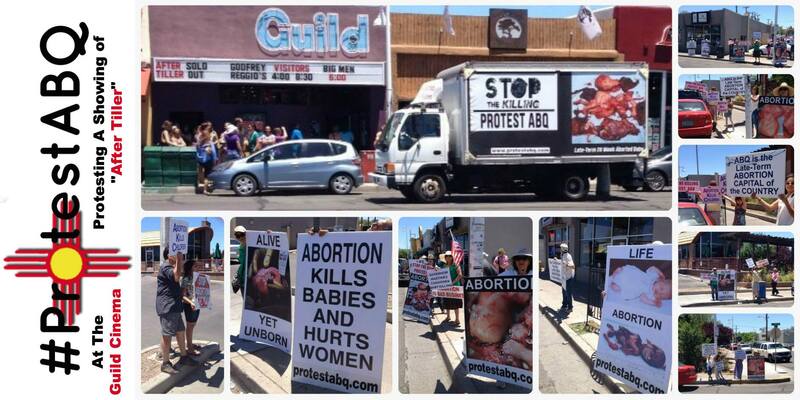 Indeed, we are protesting the use of violence…against babies in the womb. 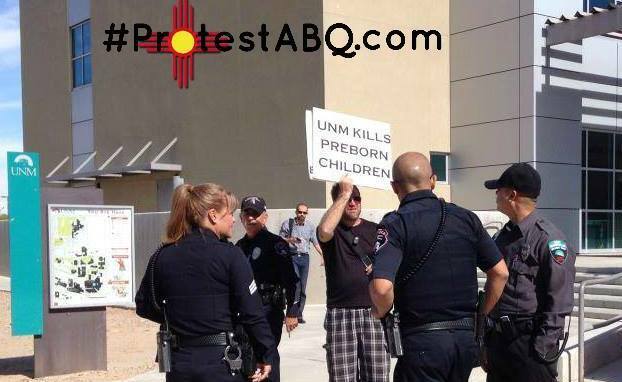 We will peacefully protest this violence. 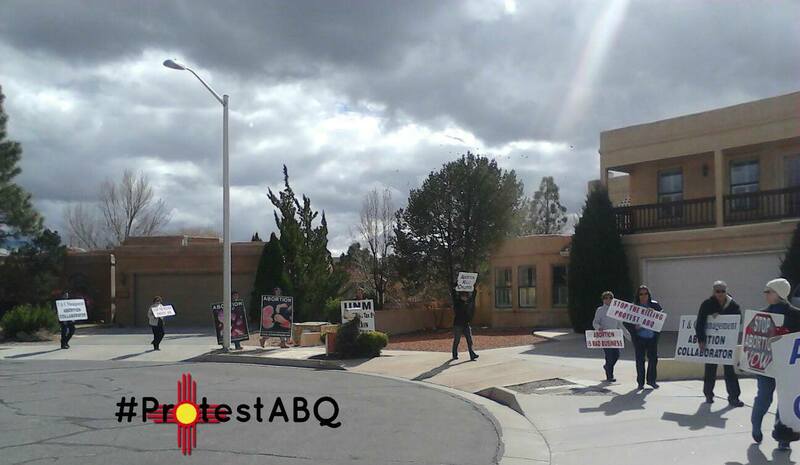 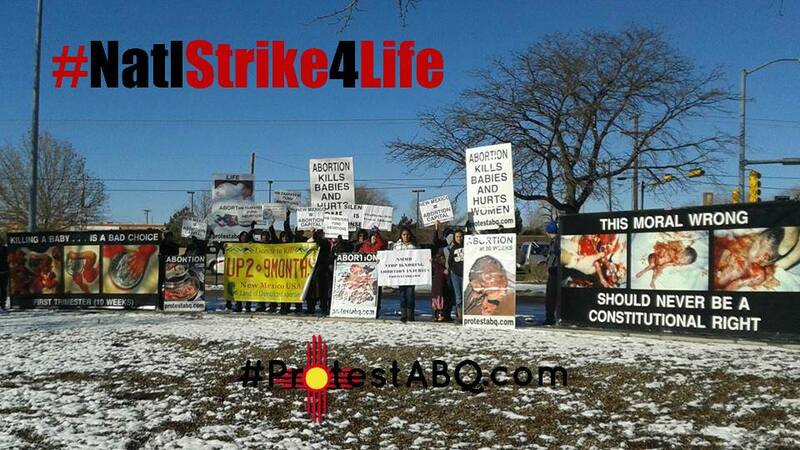 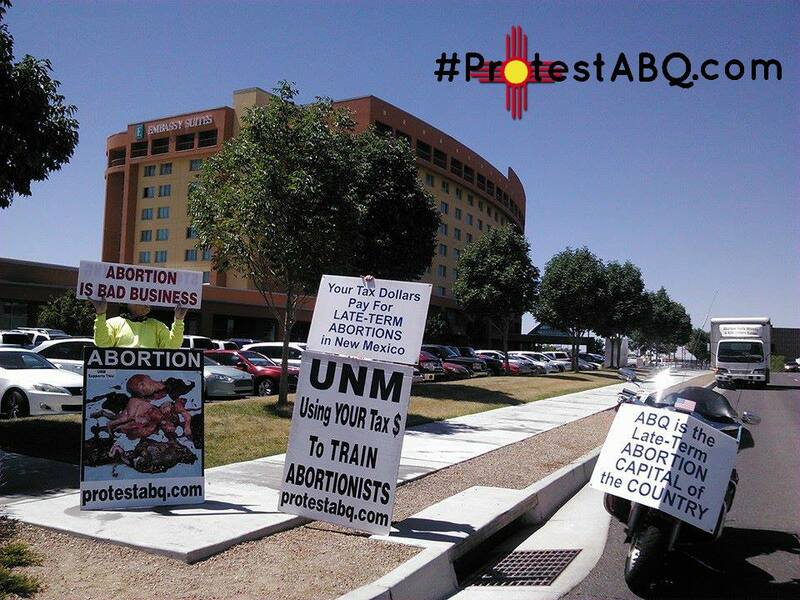 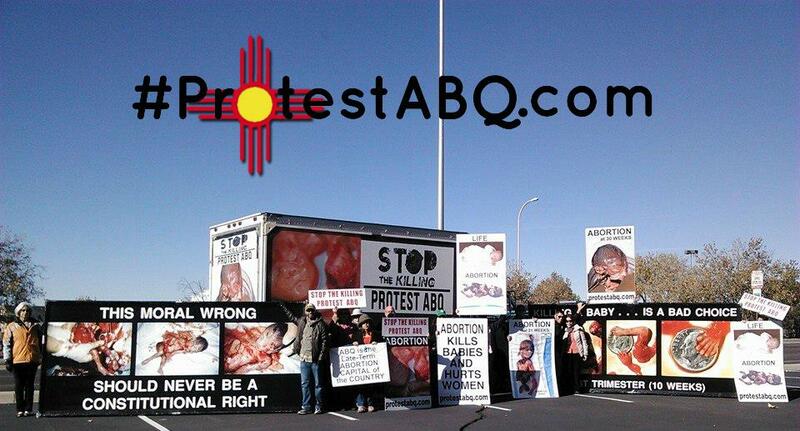 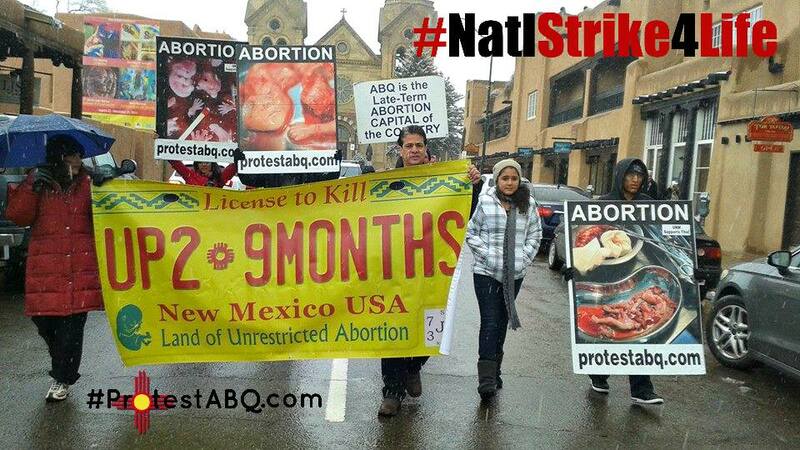 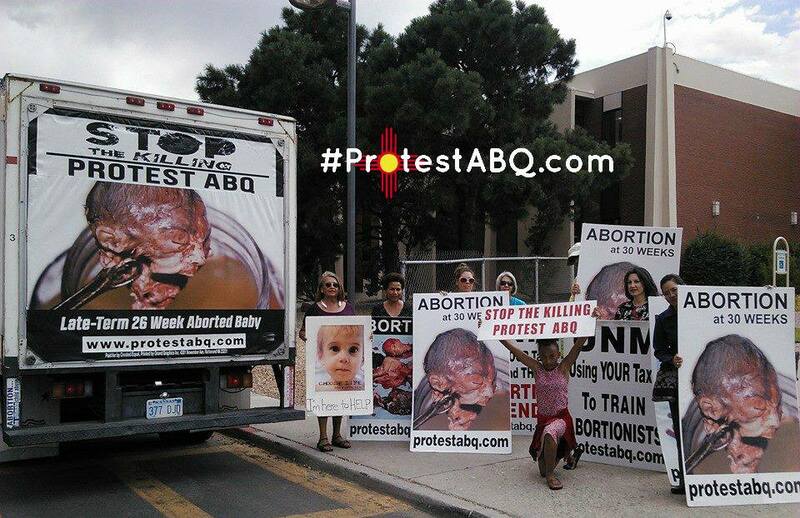 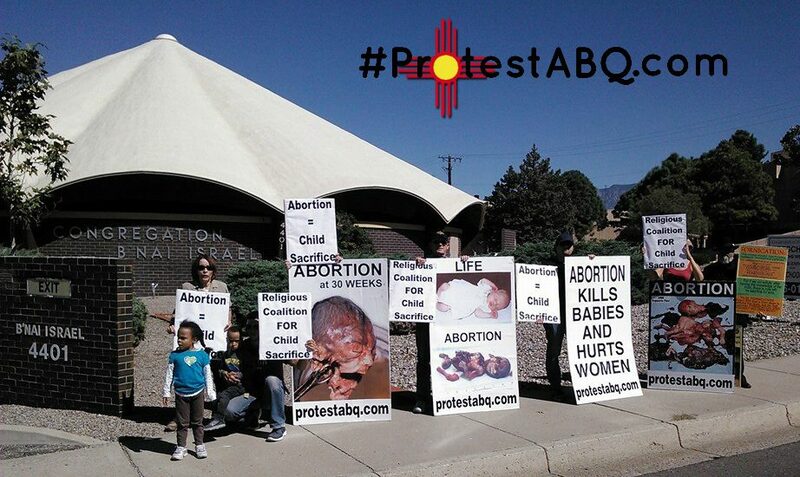 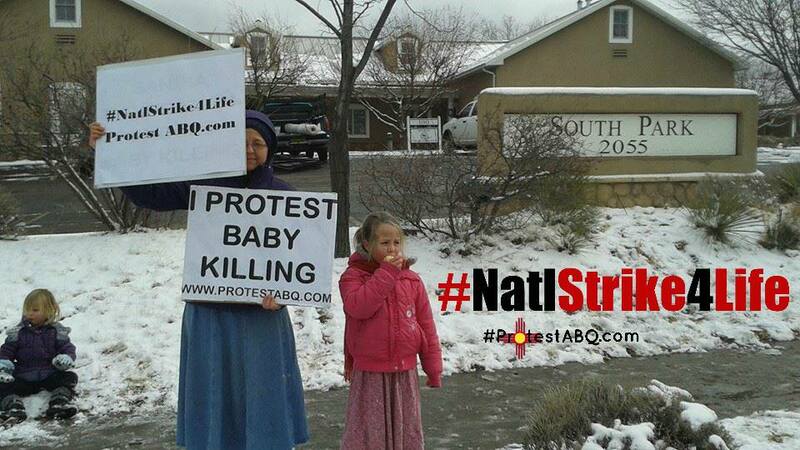 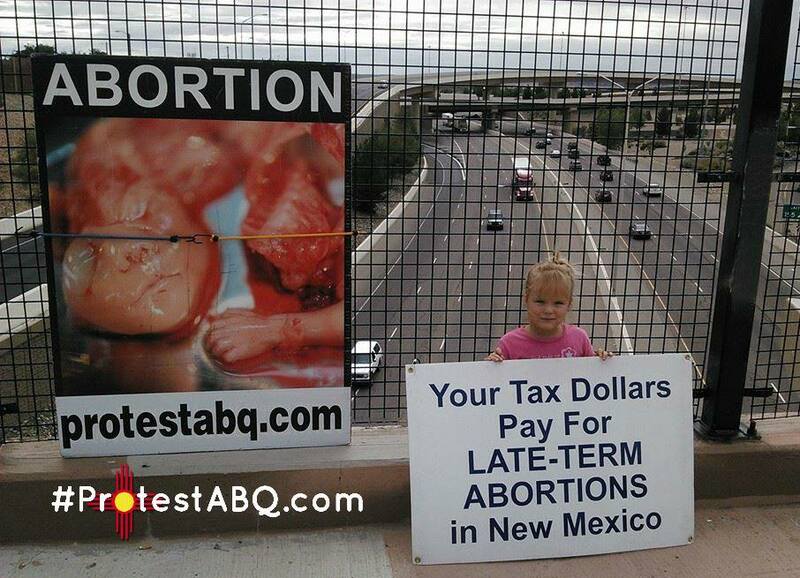 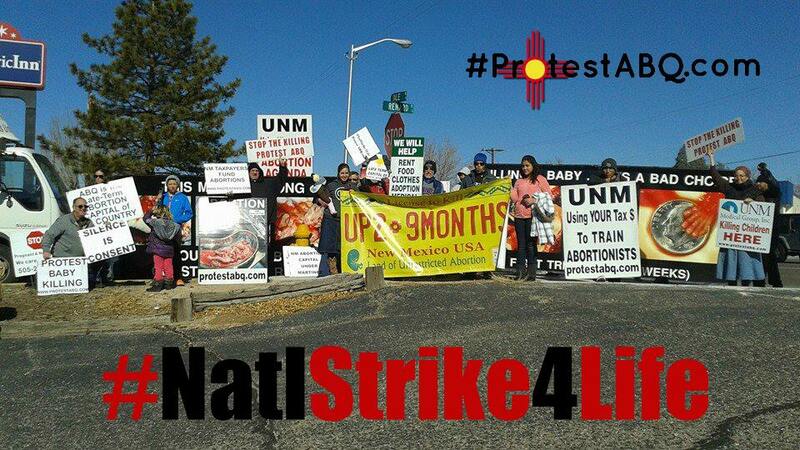 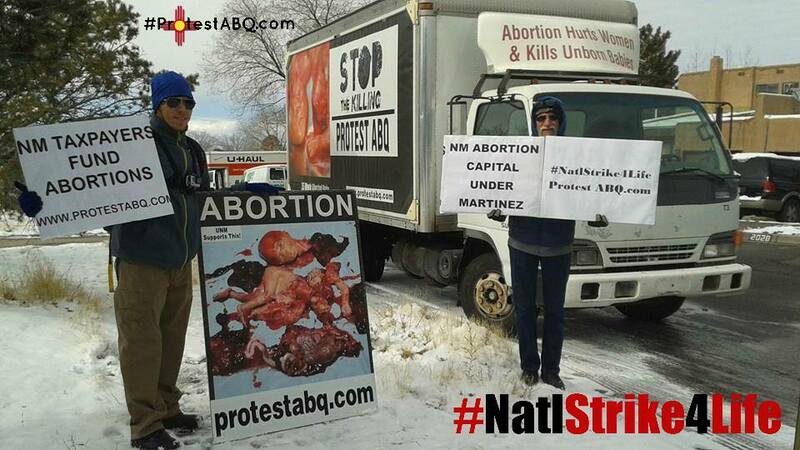 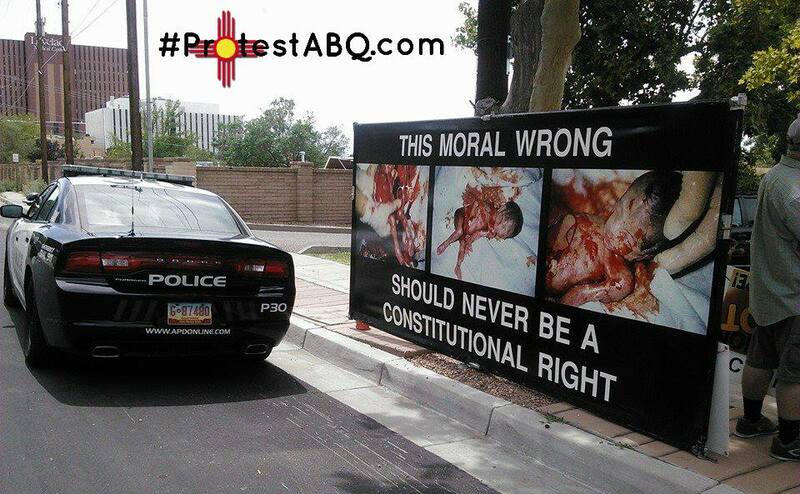 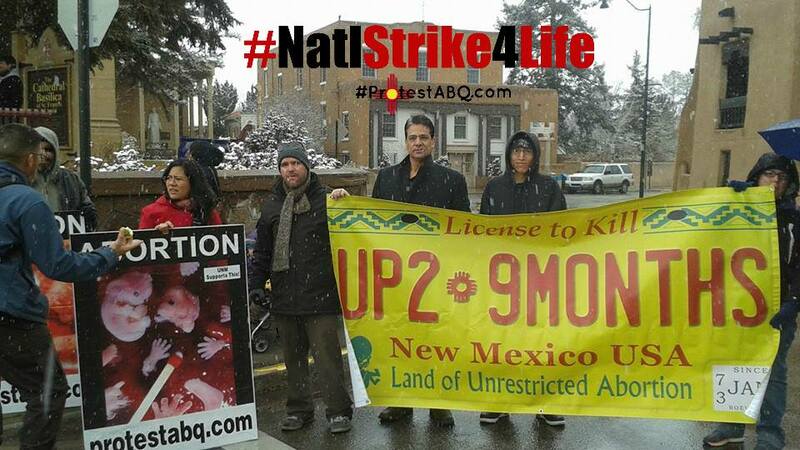 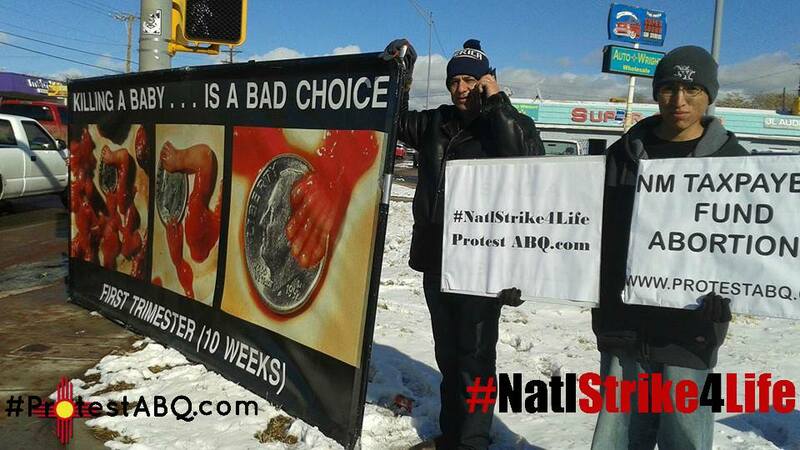 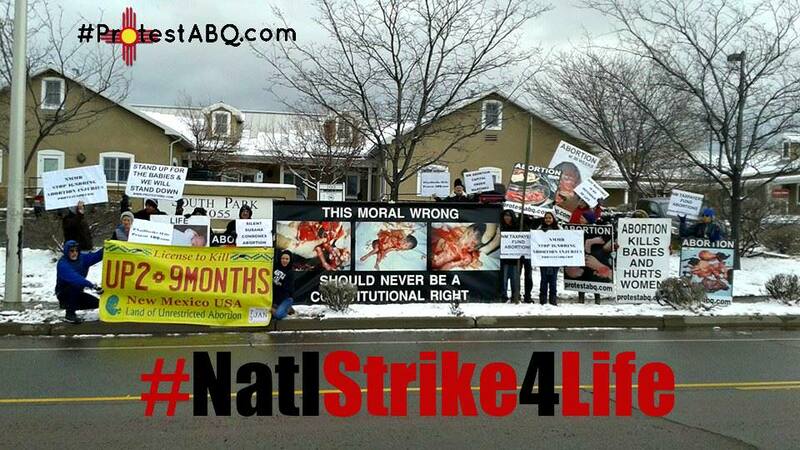 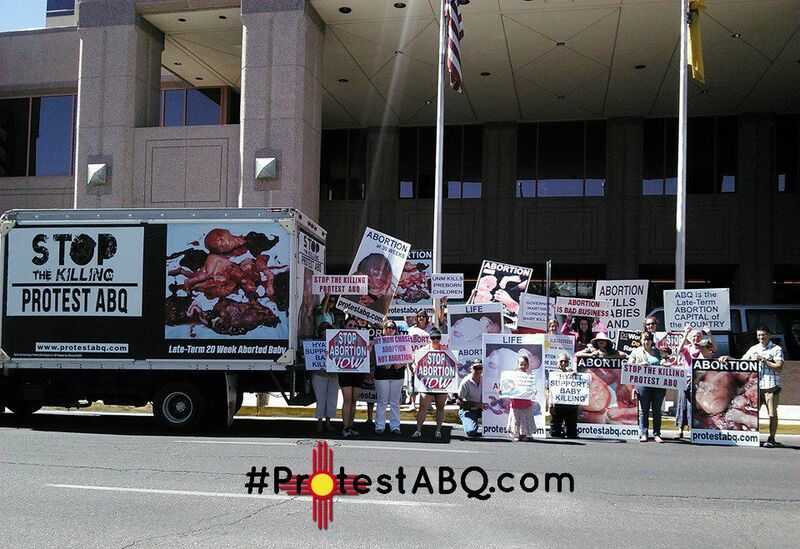 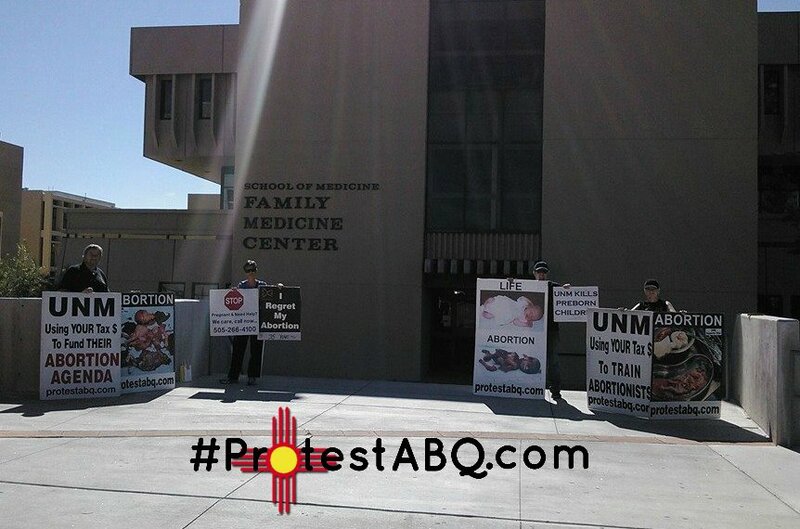 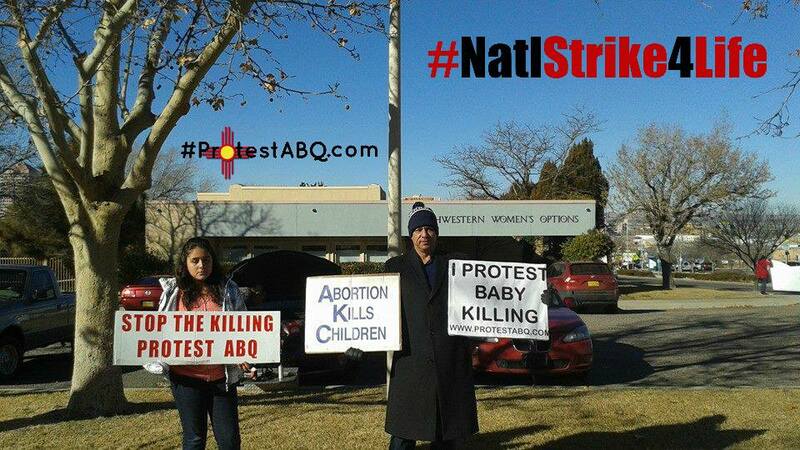 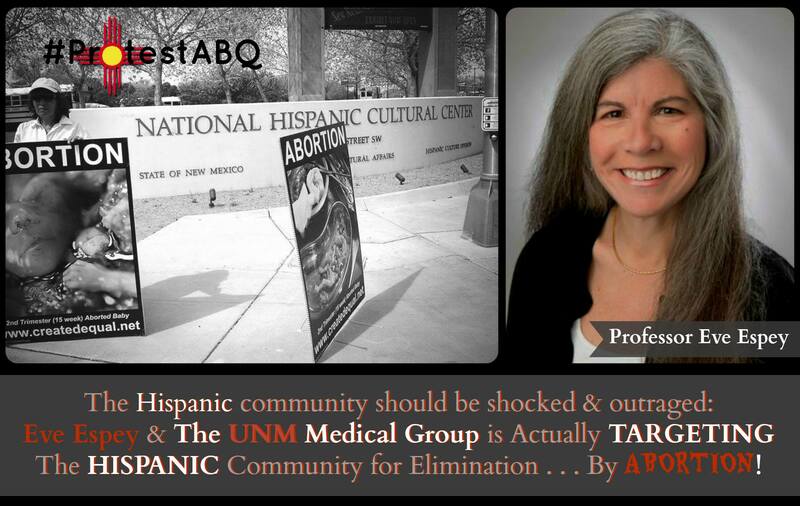 Albuquerque, New Mexico is the Abortion Capital of the Southwest and the Late-Term Abortion Capital of the Nation! 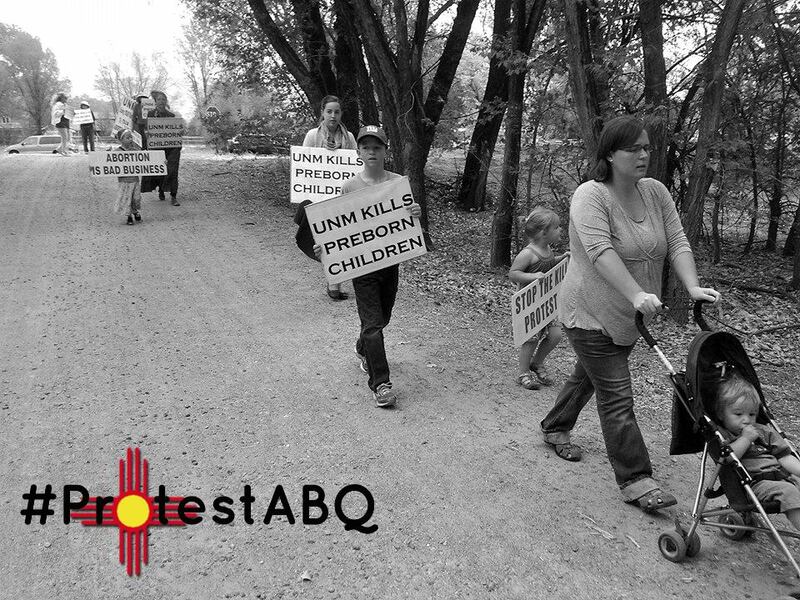 We must be the voice of those children who are being silenced. 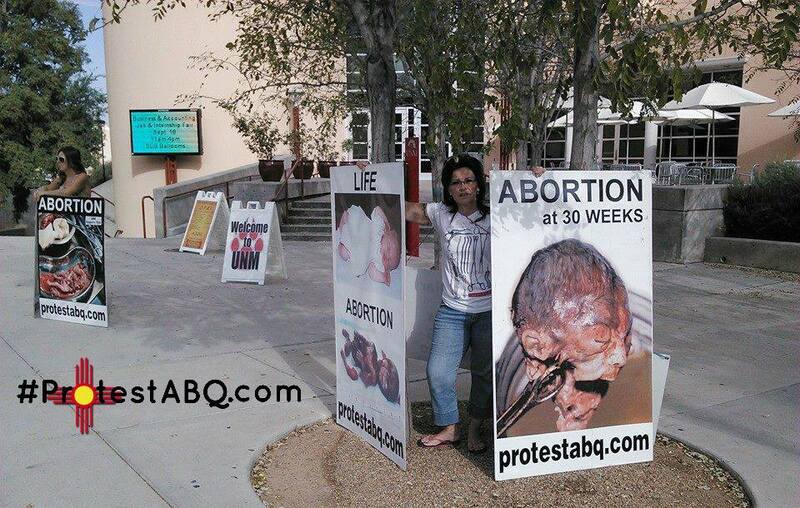 We must be the presence of those who are not able to be present because of abortion. 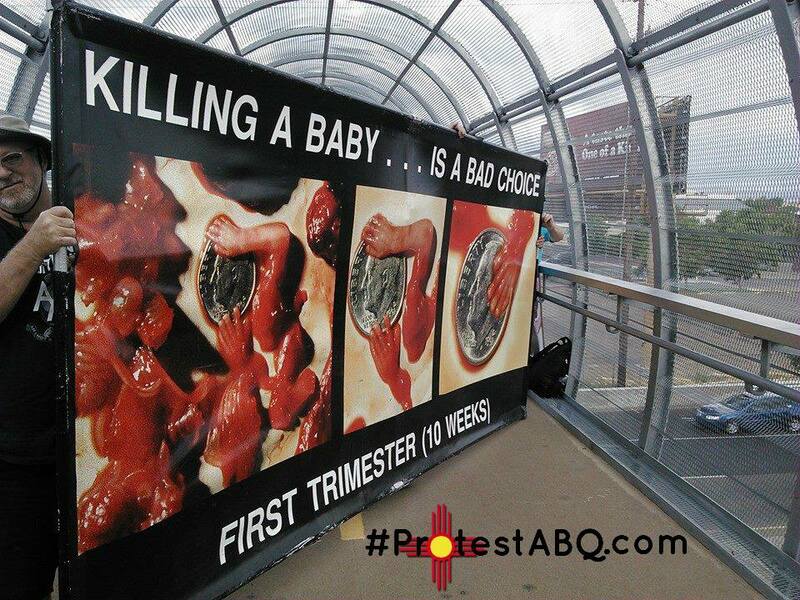 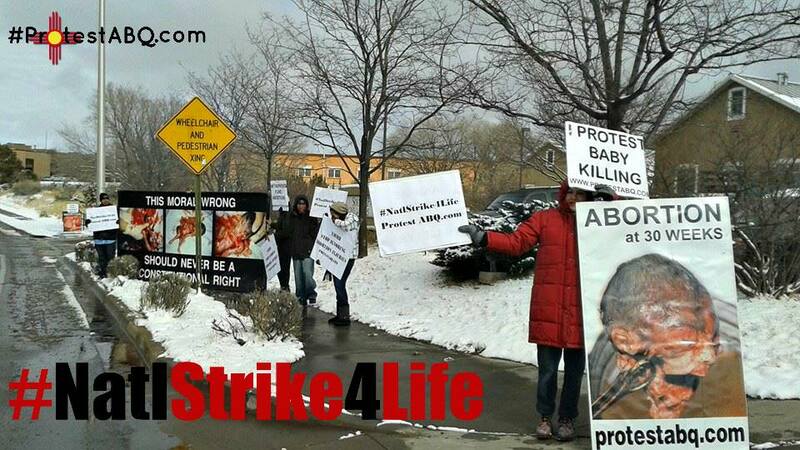 If we accomplish nothing else, we must succeed in protesting the evil of our generation: Legalized Child Killing. 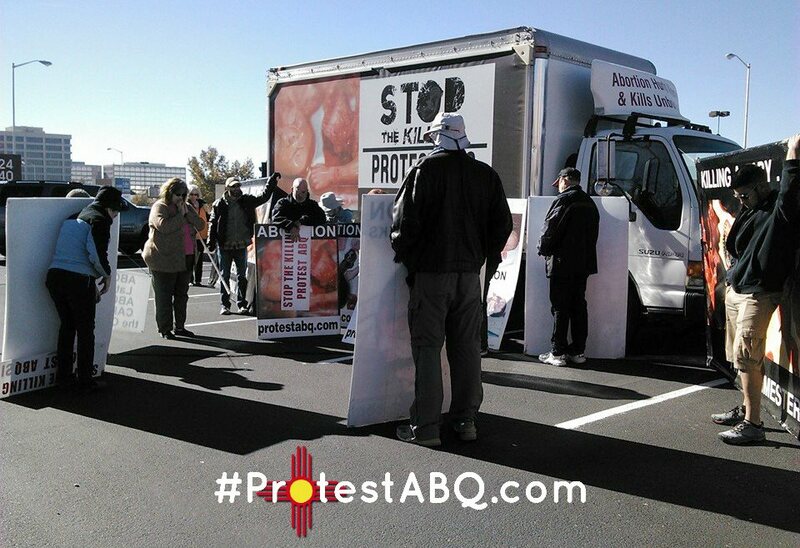 “As we move forward in Albuquerque, we realize that abortion will end in our city and state, when hearts are touched and minds are changed concerning the killing of the most innocent and defenseless children in our state, those in the womb. 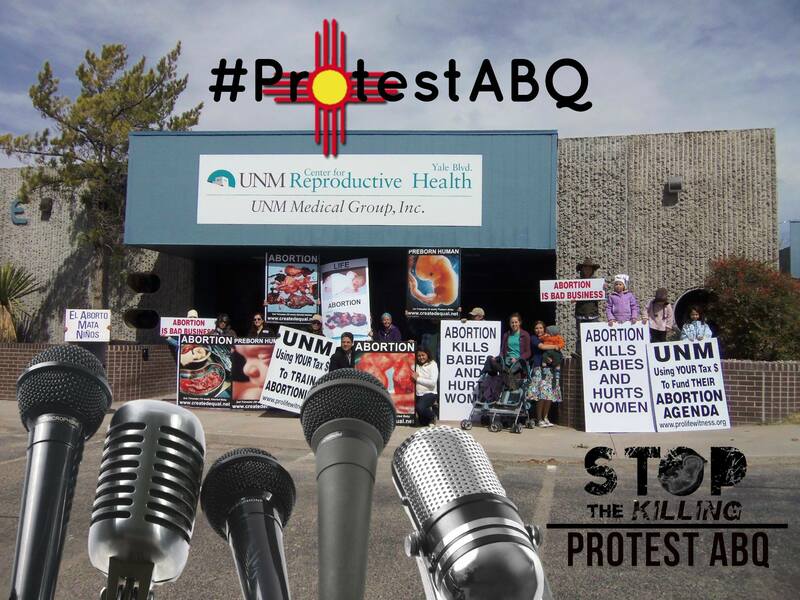 PROTEST ABQ is a way to raise this public awareness. 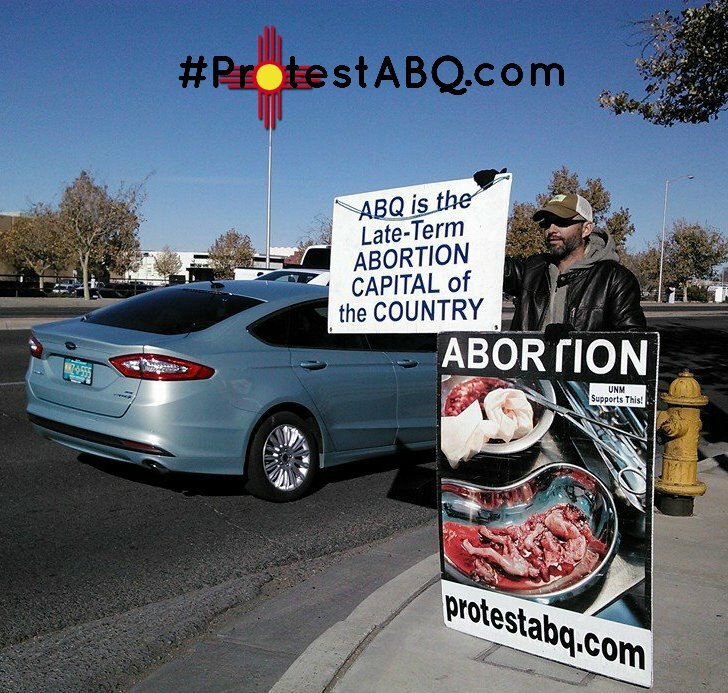 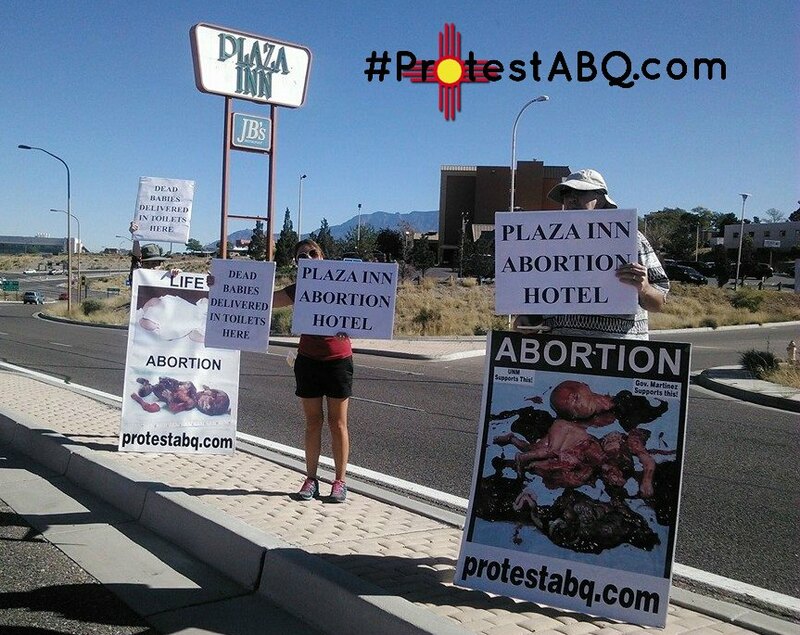 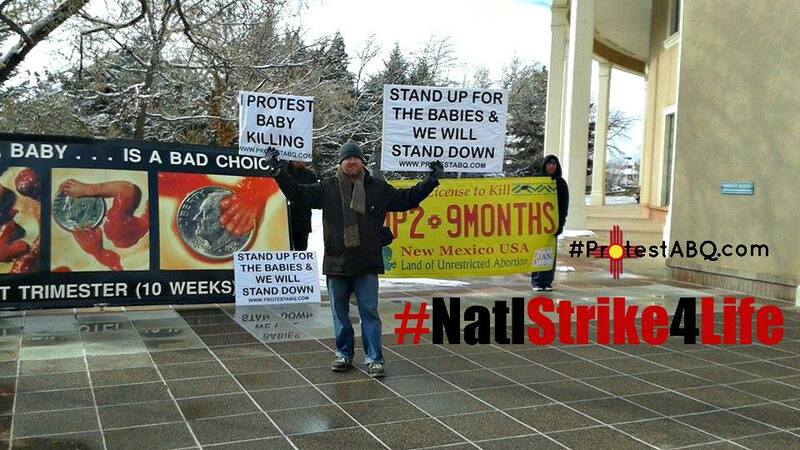 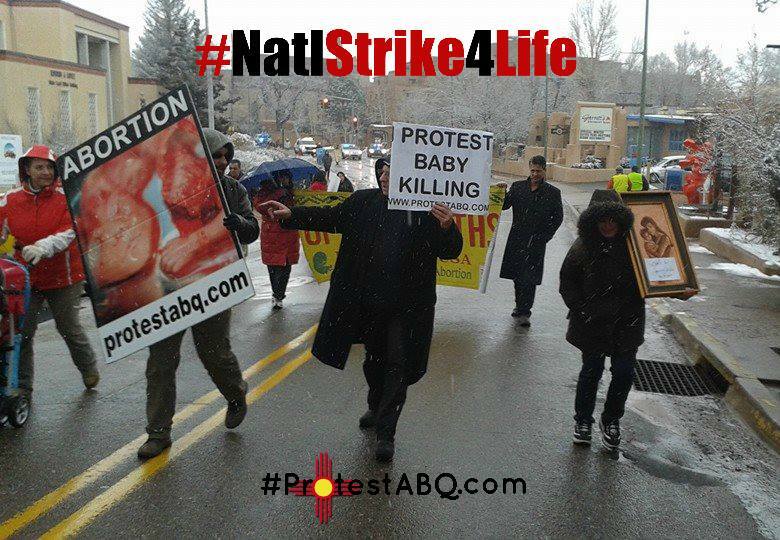 If we accomplish nothing else, we must succeed in protesting the evil of our generation…legalized child killing,” stated Bud Shaver Executive Director of PROTEST ABQ. 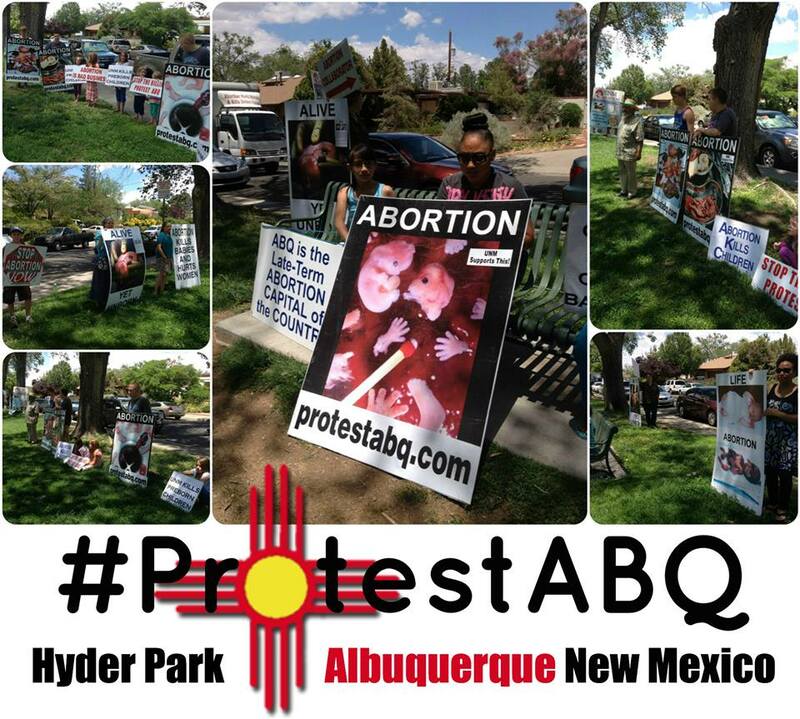 “The group that launched a campaign to ban late term abortions in Albuquerque says they are here to stay. 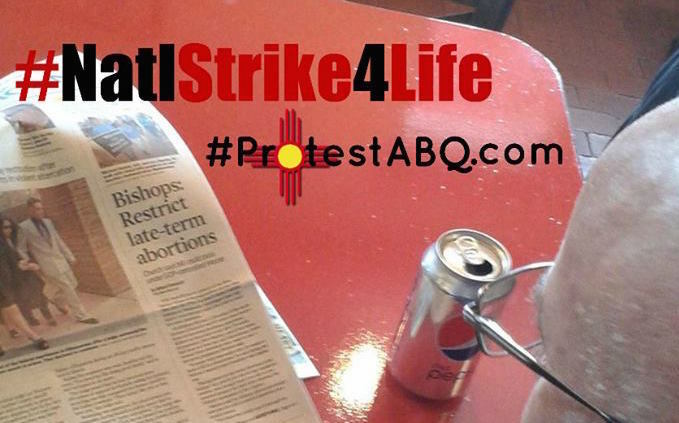 In fact, they are inviting national pro-life groups to come work with them too, and they hope Albuquerque will be a catalyst for the rest of the nation. 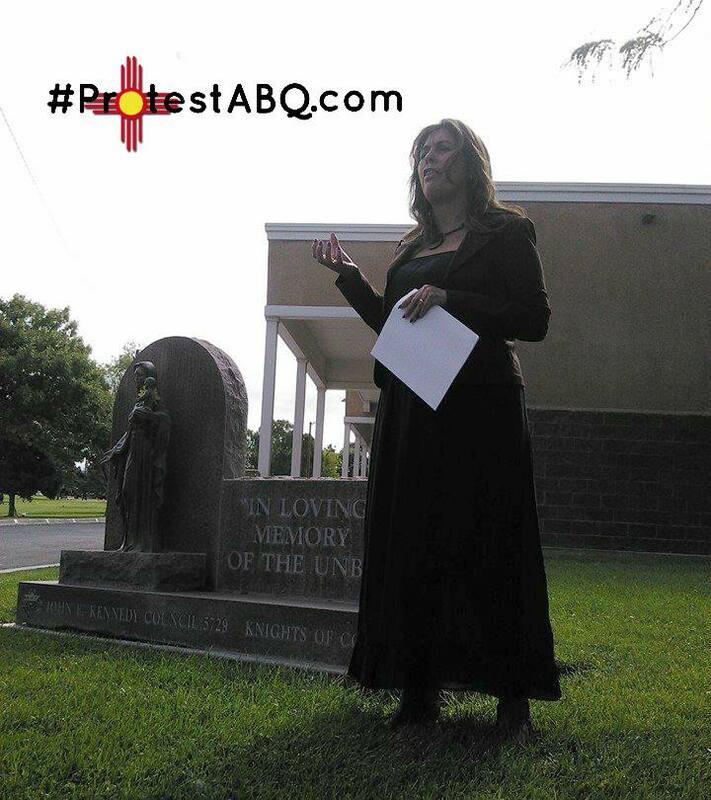 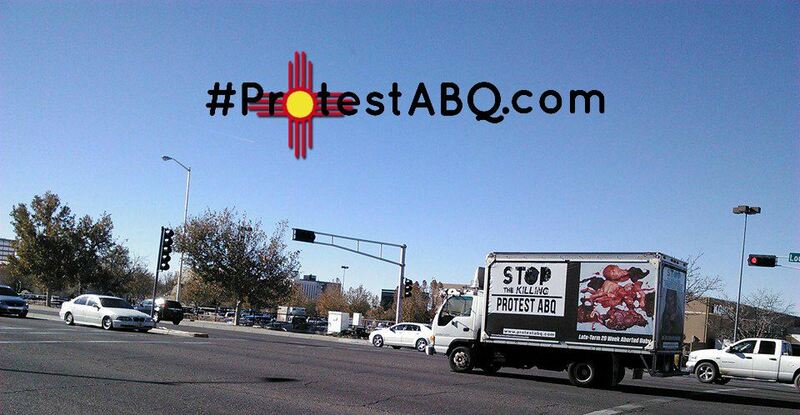 “Protest ABQ” will be a public awareness campaign. 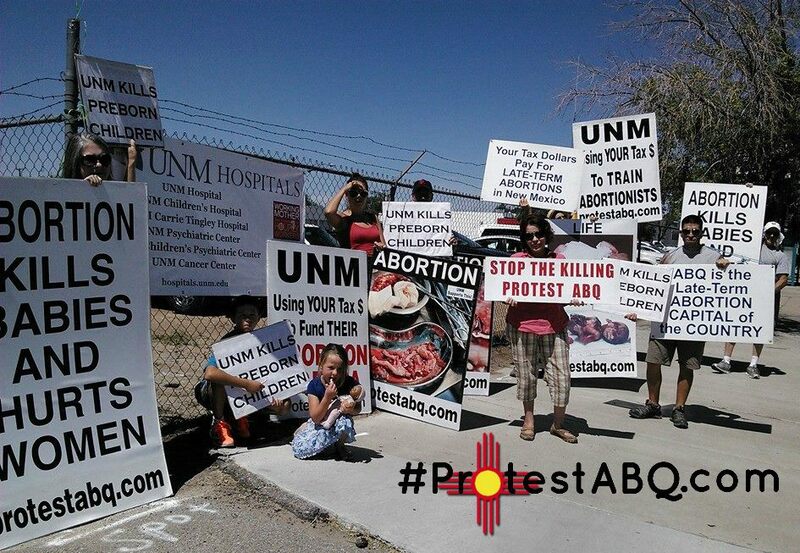 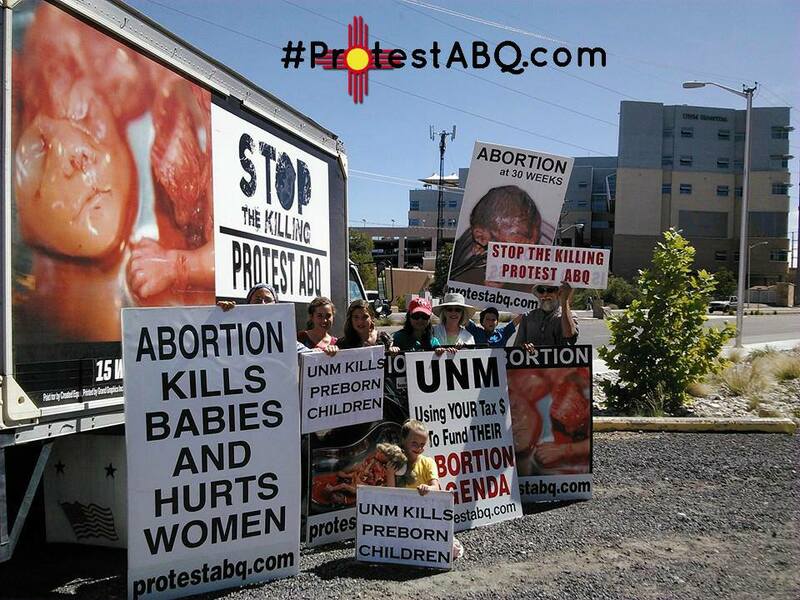 Organizers plan to publicize what they call “abortion victim photography,” and will protest Monday through Friday in front of a UNM clinic that provides abortions. 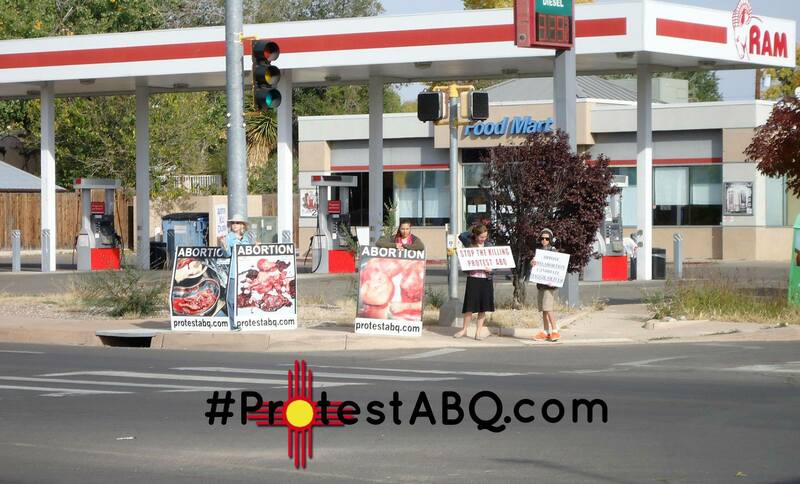 They say they will do it until the clinic closes. 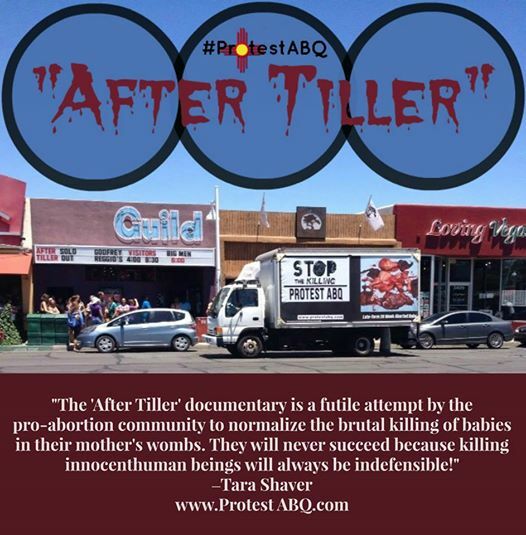 “We gave the city a chance to stand for life, to protect these babies, but the city failed and so now we’re realizing we need to reach back into the city with education and just a measure of exposing who it is that’s helping to keep abortions in our community,” Tara Shaver said. 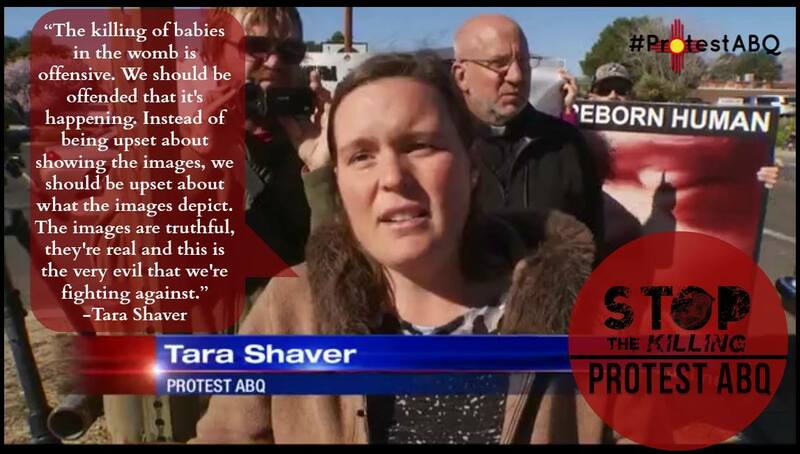 Shaver says part of that “education” will mean showing people images of allegedly aborted fetuses.